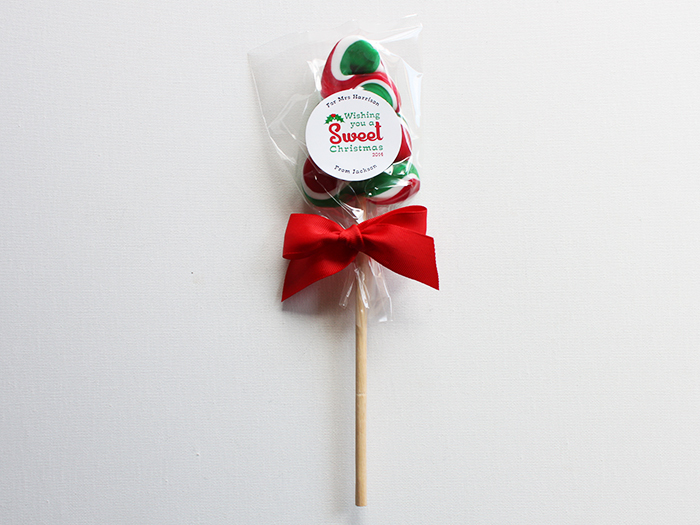 These stylish Mini Christmas Tree Lollipops are a fun way to spread some Christmas cheer among family, friends, classmates, teachers, teammates etc. 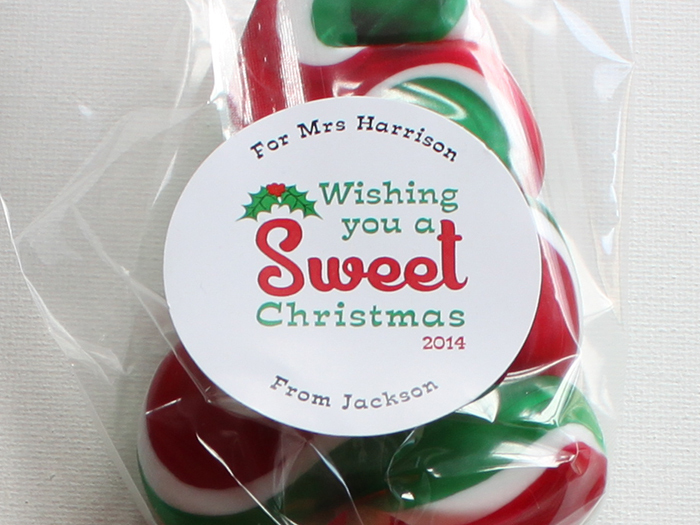 They would also make great additions to Christmas gifts, stockings, hampers and corporate gifts. 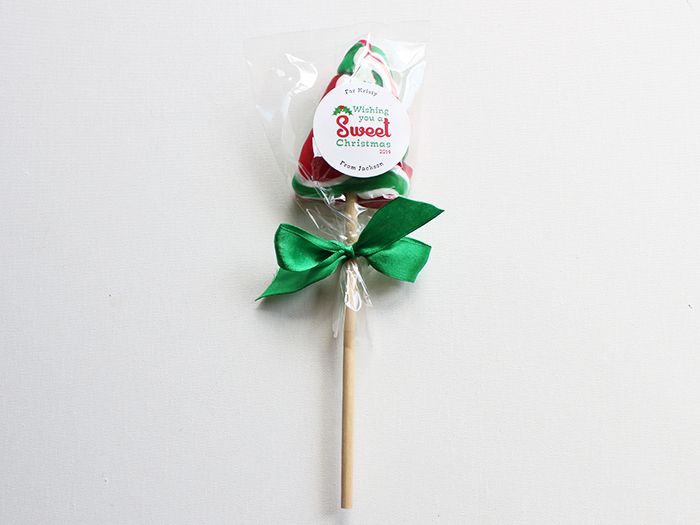 The Mini Christmas Tree Lollipops are handcrafted in red, green & white swirled candy and are apple flavour – delicious! They come individually wrapped on 20cm wooden sticks.